Cut The Rope, which arrived to Android yesterday, is one of those "top shelf" iOS titles that has done so well for itself that it's become synonymous with mobile gaming. Of course, it isn't at an "Angry Birds" level yet, but it's permeated the public consciousness to a point where I've heard non-gamer friends talk about it with enthusiasm. 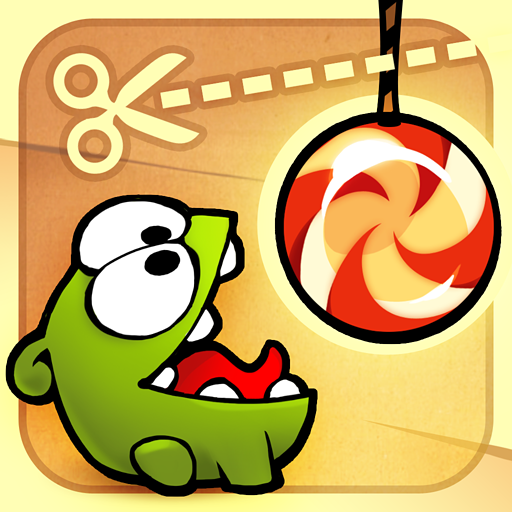 Cut The Rope is a puzzle game where you aim to feed a piece of candy to a green monster named Omnom. 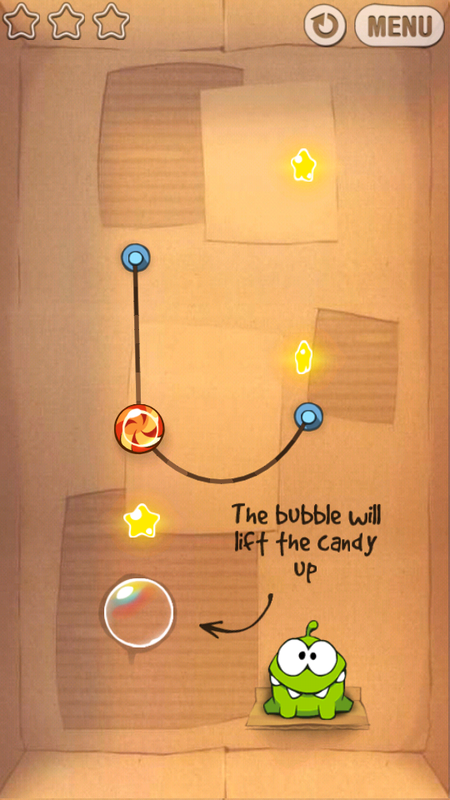 The candy is being held aloft by a piece of rope, which is affected by physics and is actually quite elastic. 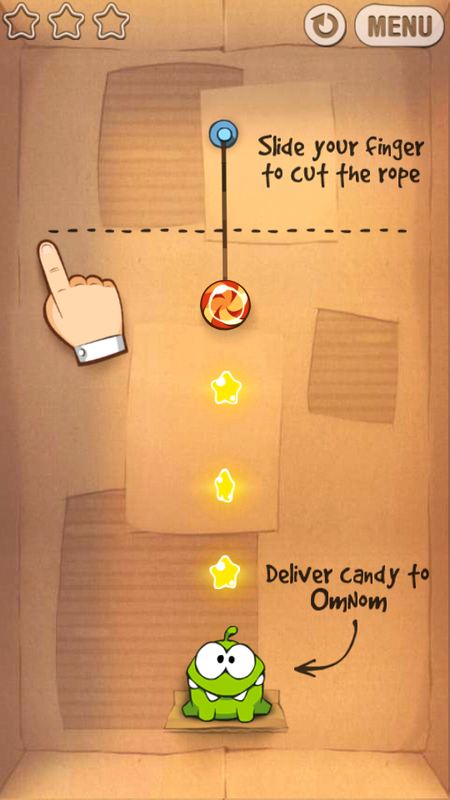 Using your finger as a box cutter, you cut different ropes in order to collect stars and ultimately feed the candy to Omnom. 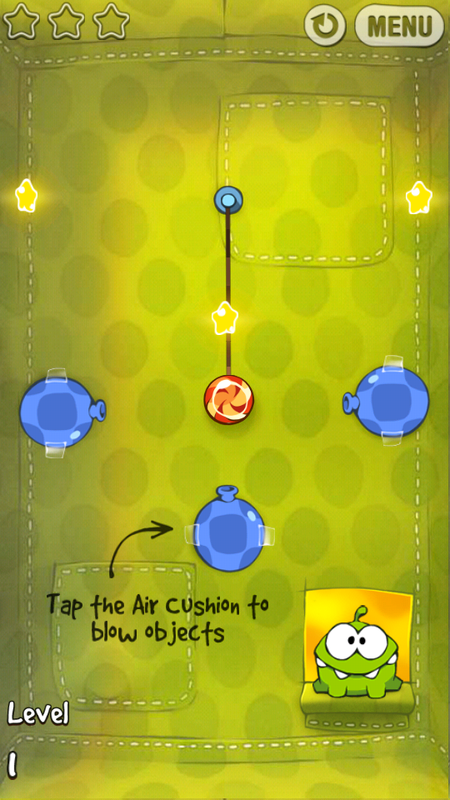 Like all good puzzle games, Cut The Rope takes a simple premise and expands upon it. Users looking to go for 100% completion will need to go out of their way to get the stars, which also serve as keys to new levels. Different worlds open up as stars are collected, giving you some incentive to hunt them all down. 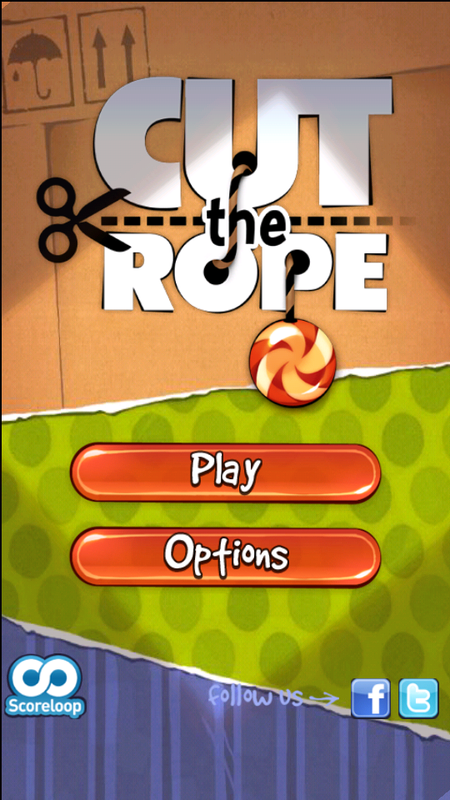 Cut The Rope also uses Scoreloop for achievements and score leaderboards, satisfying your competitive side. 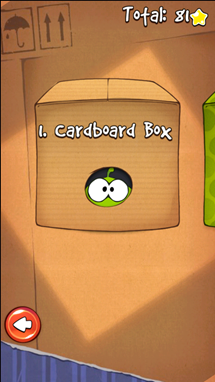 The game plays extremely smoothly, but that can be assumed with a port of an A+ iOS title. 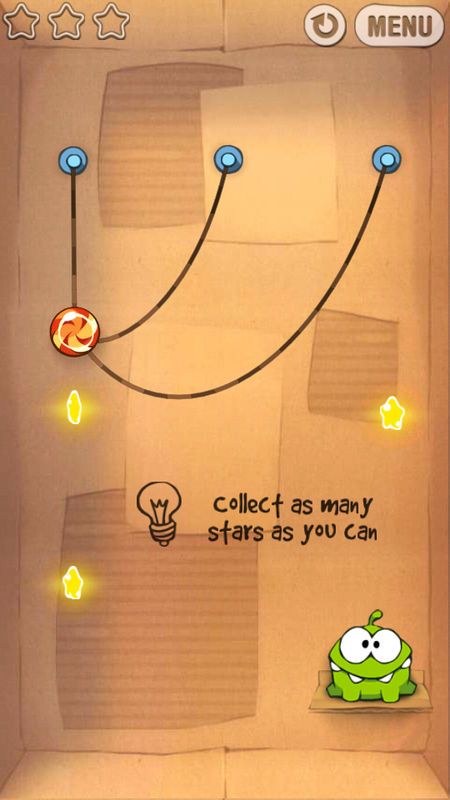 I've found that I enjoy it a lot more than Angry Birds; that "got all the stars!" feeling is a pretty good one, indeed. I find that I felt similarly to when I was playing Nano Panda earlier in the month: the games are obviously similar, and 'Panda can be guilty of lifting some mechanics from Cut The Rope. 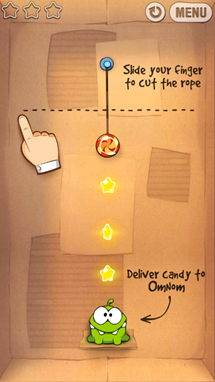 I mean, even Panda's level select looks like a re-skinned version of Cut The Rope's menus. I point this out because if it's worthy of being imitated, the game's obviously doing something right. 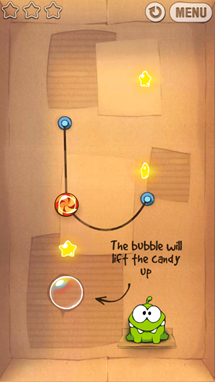 I find it kind of difficult to get addicted to mobile puzzle games because the gameplay either requires too much effort or too little: you're forced to sit down and devote your attention to a game for a long period of time, or the experience is so simple that you're not inclined to pick it back up again once you've rattled off a series of successes. 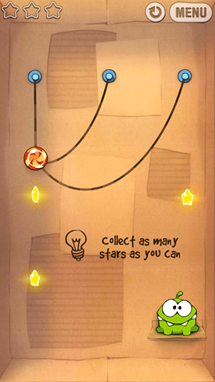 The latter applies to Cut The Rope; while I'm sure the levels get much harder as new words are introduced, the satisfaction of getting all the stars in the first world-and-a-half (75% on the first playthrough of the level) just keeps me from opening it whenever I have a spare moment. If you contrast this with another classic puzzler, Tetris, the analogy becomes a bit clearer. Tetris isn't meant to be played in bite-sized doses; instead, the game starts simple and then ramps up difficulty over time. Ideally, though, you're going to be spending 15-20 minutes of time playing a game with relatively simple mechanics that can still remain "threatening", mechanics-wise. If you really wanted to, you could sit down and play a game of Tetris for hours; getting that invested in a game is the player's choice. However, if you're looking for a simpler time, you can enjoy the act of just puzzling, as opposed to beating your score. You're not forced to commit to that "beat the score/time/stars" goal, and can still have fun. 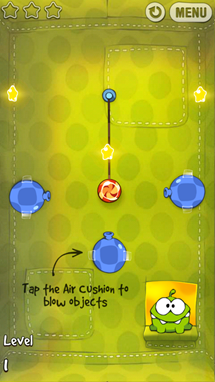 Games like Angry Birds and Cut The Rope, however, will tie you to a number of different goals: in these two titles, it's score, completion (levels and stars). While you're rewarded handsomely for going for either of those goals, there just doesn't seem the incentive to just play. Once you've finished all the levels and collected all the stars, you're left waiting for a new map pack and are relatively at the developers' mercy. The scores, while a valid form of accomplishment, aren't really the bragging rights you'd think they would be: I mean, who do you know really goes and says "Man, my score on level 6-3 of the Christmas version of Angry Birds Seasons is 605789!"? 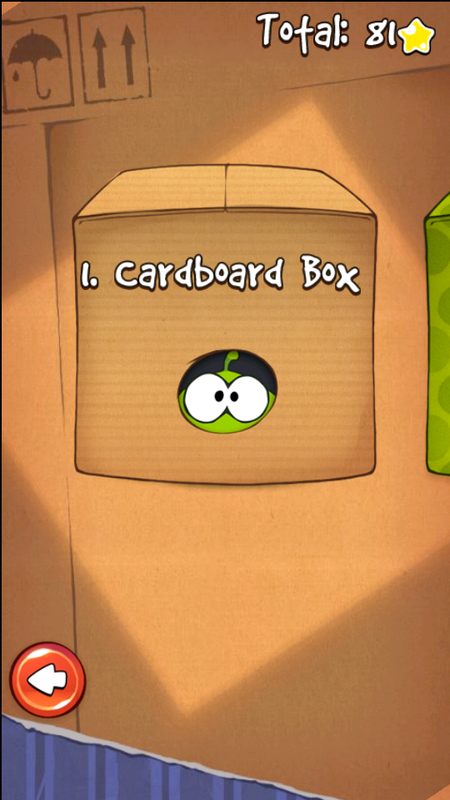 Cut The Rope is available for free on GetJar for one week. After that, you will be paying for an ad-free version.